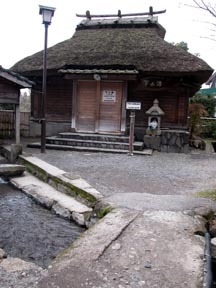 From the symbol "Mt. 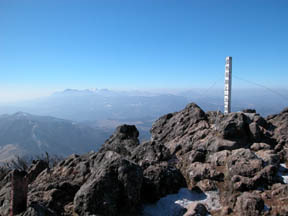 Yufu" summit of the mountain of a yufuin, Yufuin-cho and the long distance Kujyu mountain range which spread at a right-hand hem are viewed. 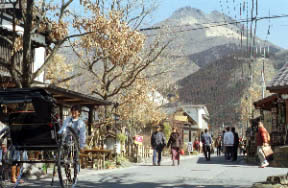 The yufuin main street where HPV comes and goes. 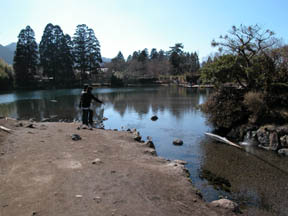 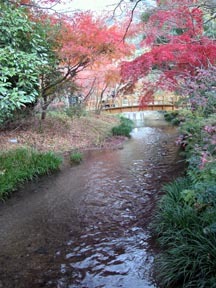 One of the origins in Oita River, the flow of the river from a Kinrin lake.